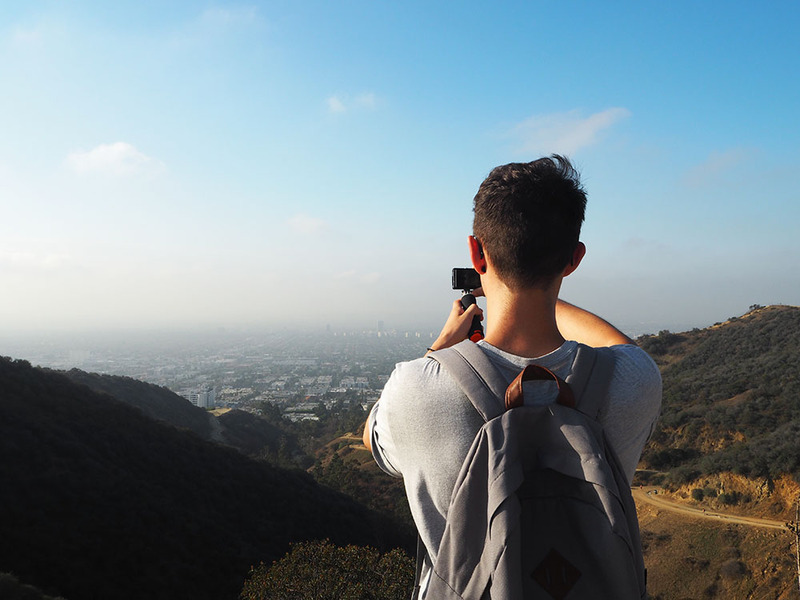 I had seen loads of people I follow on Instagram and celebrities on the internet hiking in Runyon Canyon but I had no idea where it was. But on our movie stars homes tours, the guide pointed it out to us, so I decided to Google it. 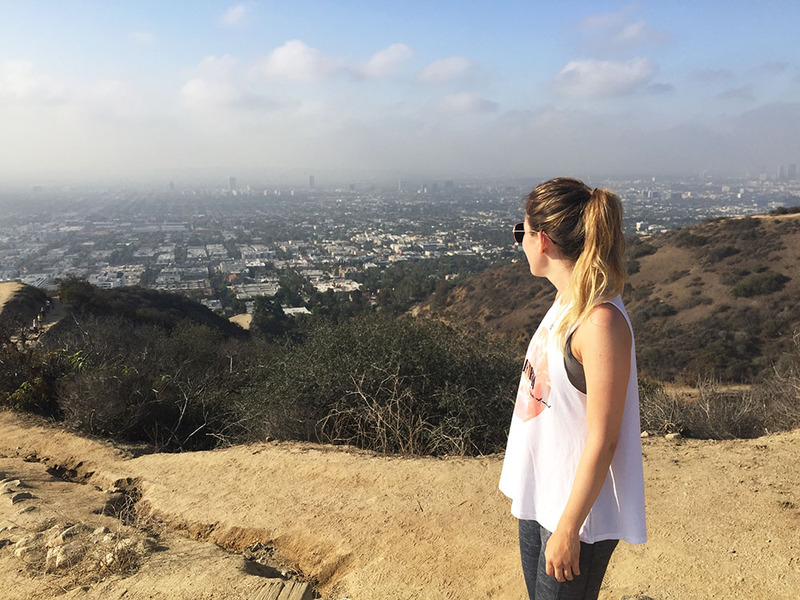 Turns out it wasn’t that far from our hotel, and was a relatively short route with awesome views of LA. So I figured we had to make the very most of our last day, and we set our alarms for the early morning to get our hike on! As you can see, the views were totally worth it. I did read online that you might spot a celeb or two as this is where many of them hike. Sadly we didn’t see anyone famous, but it was the perfect start to our final day nonetheless. Once we made our way back to the hotel we showered and got dressed for the day, before taking a final few pictures in the room. Just look at that view! Once we were ready we decided we needed another trip to ihop before we left. I know we had it the night before, but we were on holiday so anything goes really doesn’t it! 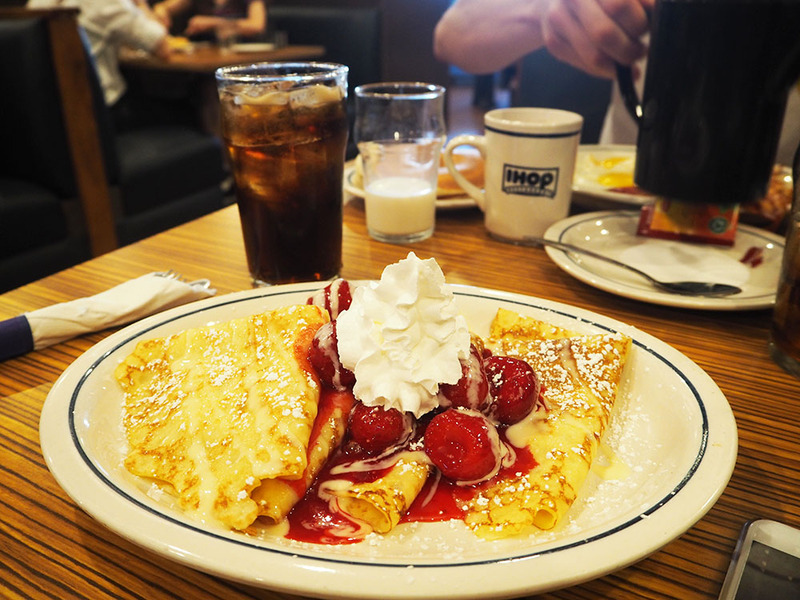 And those crepes were totally worth it, it’s making my mouth water just looking at the picture of them. Feeling full and fat, we jumped in the car and headed out for a last whirlwind tour of LA. 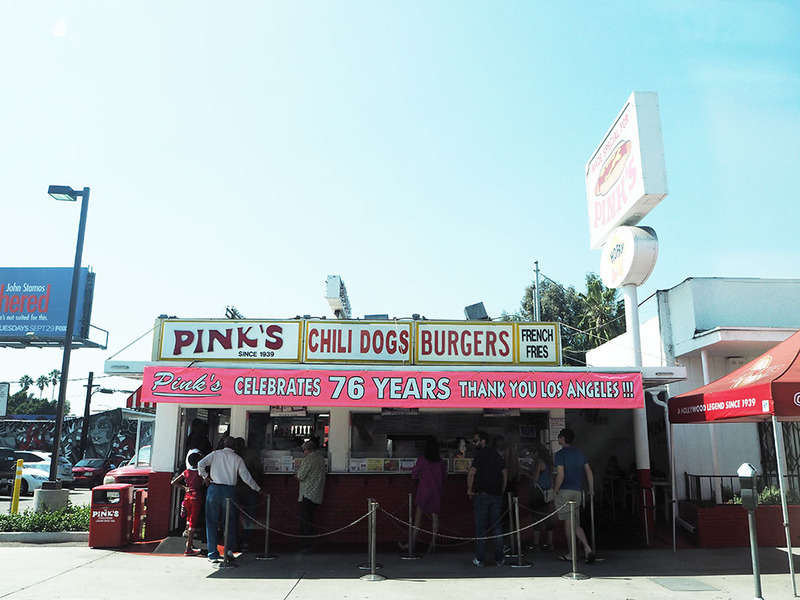 One place I did want to eat but didn’t get the chance to was the famous Pink’s hot dogs shop. Everywhere we read online said the queue would be ridiculously long unless you go first thing in the morning, but as you can see, it clearly wasn’t when we were there! We probably missed the golden opportunity to get one! 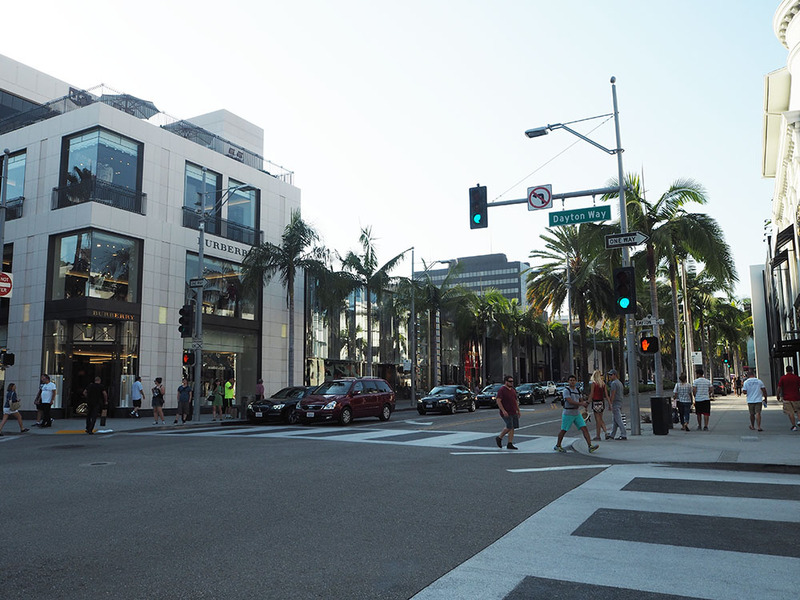 One of the stops we wanted to make was Melrose Avenue. 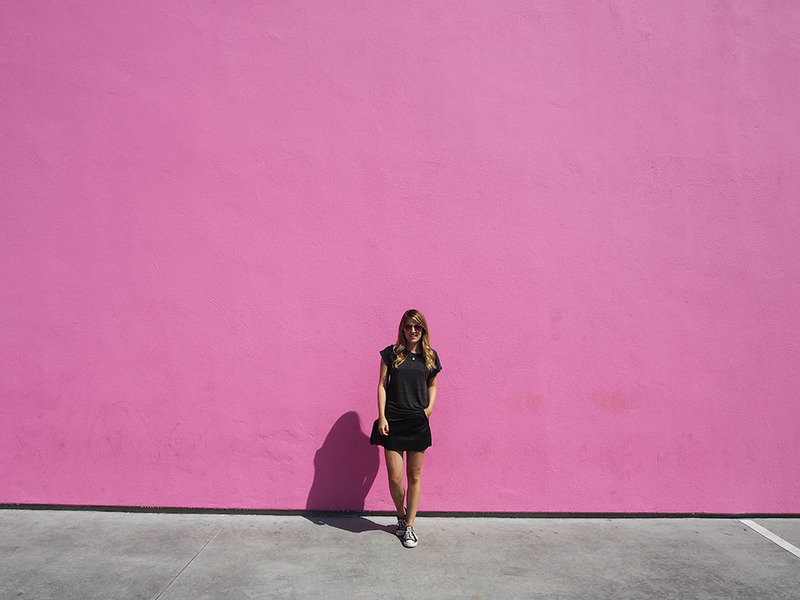 And obviously visit the much-Instagrammed pink Paul Smith wall! I have posted photos of this before if you fancy seeing a few more snaps! 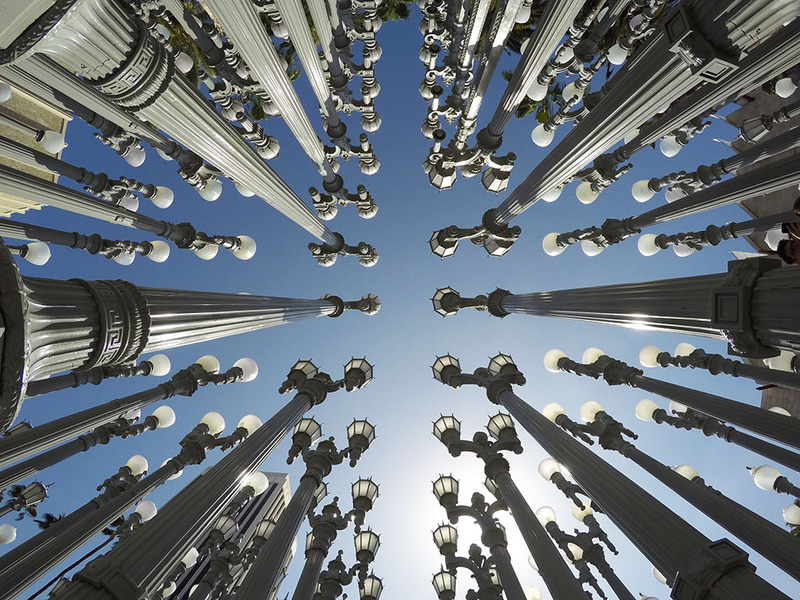 We also stopped off at the LACMA light installation. Again, something I had seen loads on Instagram and wanted to see for myself. If you can’t tell already I clearly spend a lot of my life wanderlusting on Instagram! 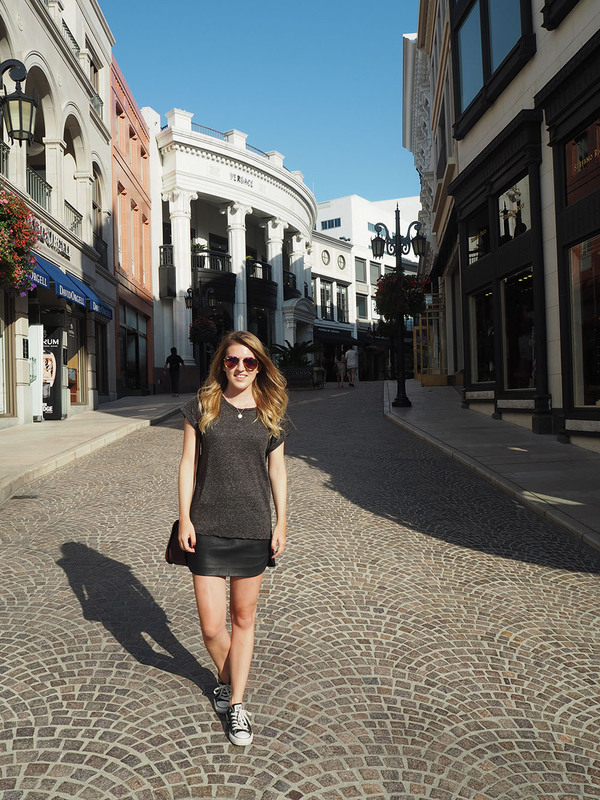 Our final major stop was world famous Rodeo Drive! One little tip we would have is about parking. 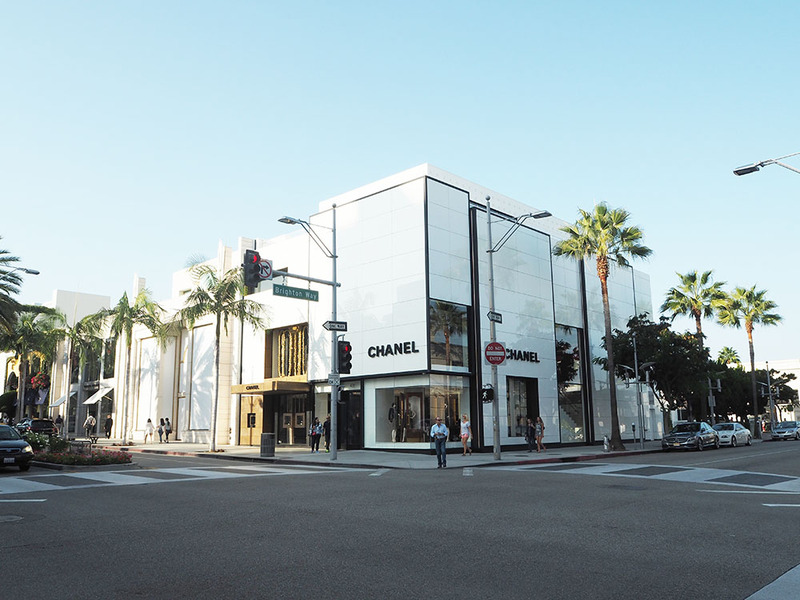 We spent AGES driving around trying to find parking on the road and all of them said no parking, and just as we were about to give up, we found a 2 hour free car park literally around the corner from Rodeo Drive. You can find it here. 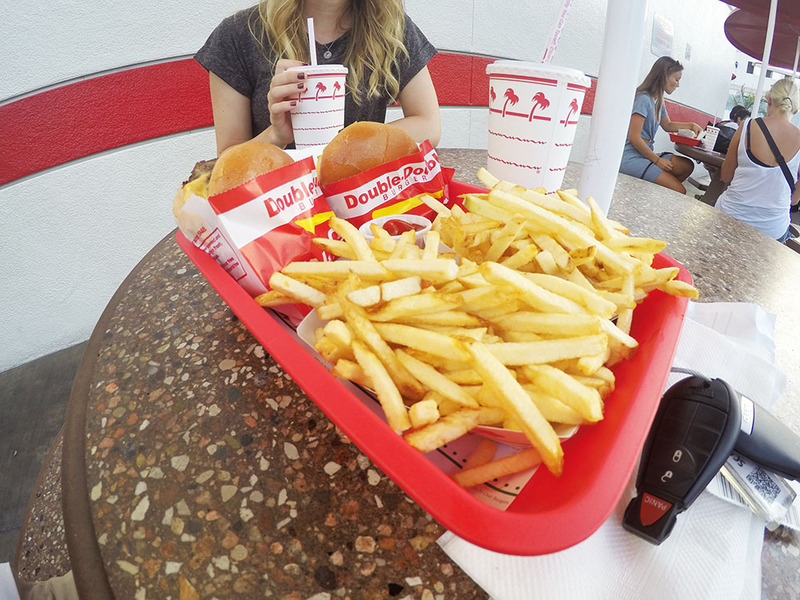 The final place we had to go before we left for the airport was one last time at In N Out. We are officially massive fans of that place now! 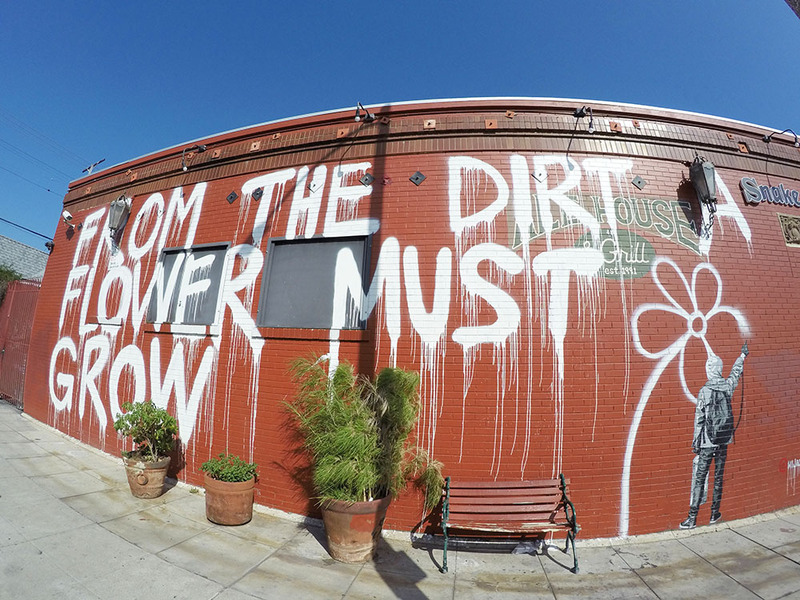 I have come to the end of my California blog posts so I hope you have enjoyed reading them! I think my vlogs will have to go up after Christmas now as I have Christmassy Berlin vlogs that I want to put up first. So keep your eyes peeled in the new year if you want to see my vlogs all about our California trip!